Need to speak to Sam? If you’d like my help to sell your home more effectively, please answer a few short questions here and if I think I can help you, I’ll be in touch. Have you Talked to your Estate Agent Recently? Has My House Price Gone UP? 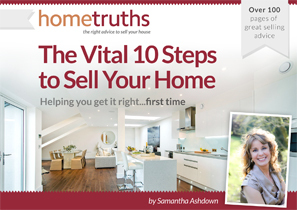 Find out the best methods of ensuring a positive reaction to every aspect of your house to potential buyers. Discover the secrets that successful property developers use to get the return on their portfolios. Sell quicker - for more. Download one of our 3 free guides.